Striking design always gets attention. V8 engine in LC 500 sounds thunderous. Forgiving ride quality makes it a comfortable GT car. 10-speed automatic actually works very effectively. 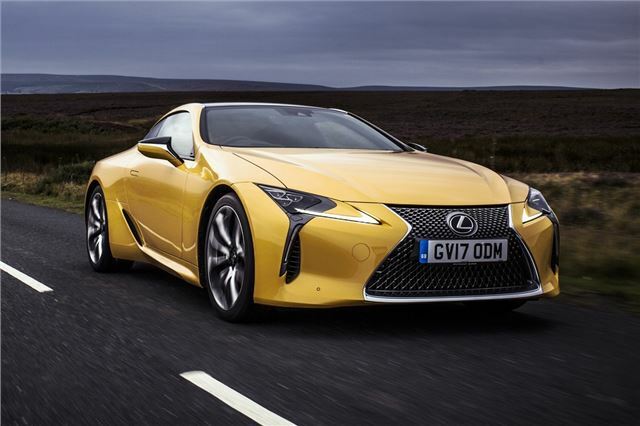 Hybrid version isn't as fun as the LC 500. Well we didn't expect this. Yes we've driven fast Lexus models before - like the RC F - but while they're powerful, they've also ultimately been flawed and hampered by slow-witted gearboxes and underwhelming handling. But the LC is different. Very different. This is a new breed of Lexus models that showcases the future of the brand. Which goes someway to explaining the not inconsiderable price tag of more than £75k. 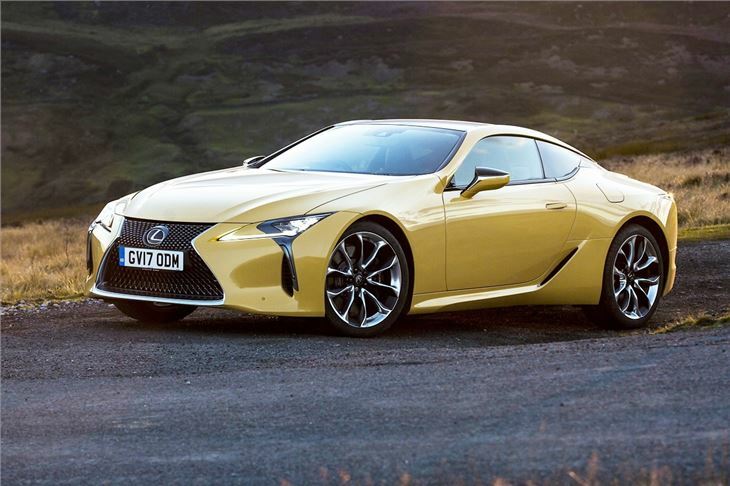 This is the Lexus 'flagship luxury coupe' after all and uses a new platform which will form the basis of a raft of forthcoming models from Lexus. The design is stunning too. This is one car that gets noticed everywhere you go. Yes, we know style is subjective, but just look at it. 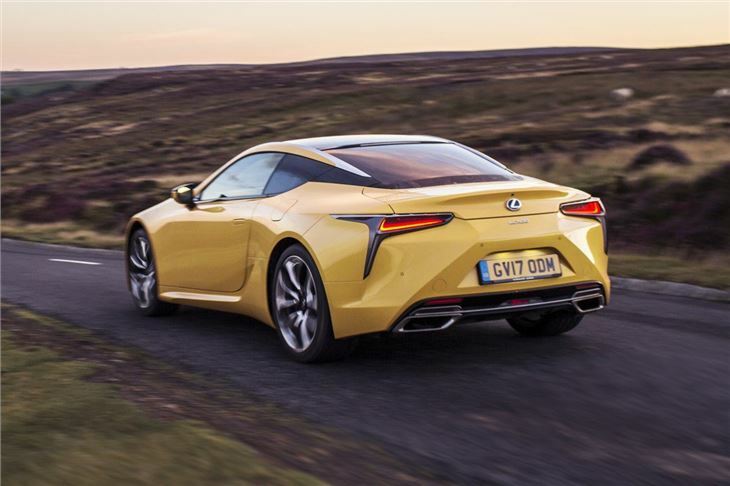 The LC is one striking coupe. The inside is also impressive. It feels modern, high quality and there are no leftover Toyota bits either. It too looks good. 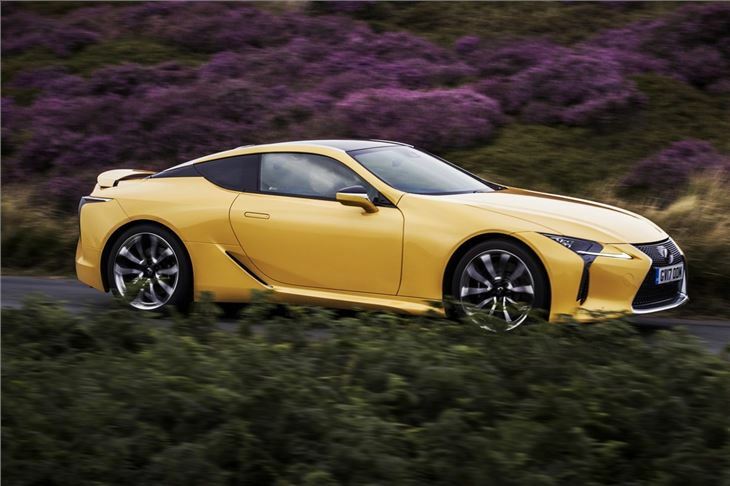 It may be a high performance car but the LC also comes as a hybrid. Which seems odd, but this is a Lexus after all. 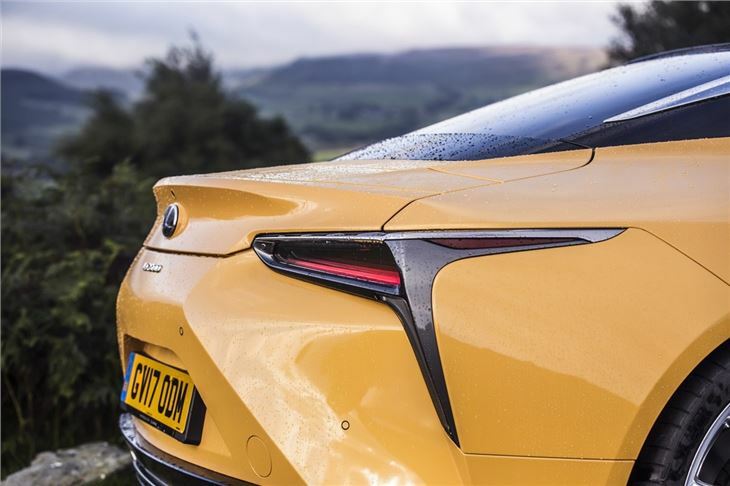 The LC 500h is the first car to use the new Lexus multi-stage hybrid system, designed to give more torque and usable power. Alongside that is the LC 500 - priced the same as the hybrid. It's powered by a thumping big 5.0-litre V8 engine - there are no turbochargers here - but it still possesses 477PS and will knock out 0-62mph in 4.4 seconds. It also has a 10-speed automatic gearbox, which sounds like it would be a nightmare, but actually works with great proficiency. But it's the euphonious sound of the V8 which stands out. 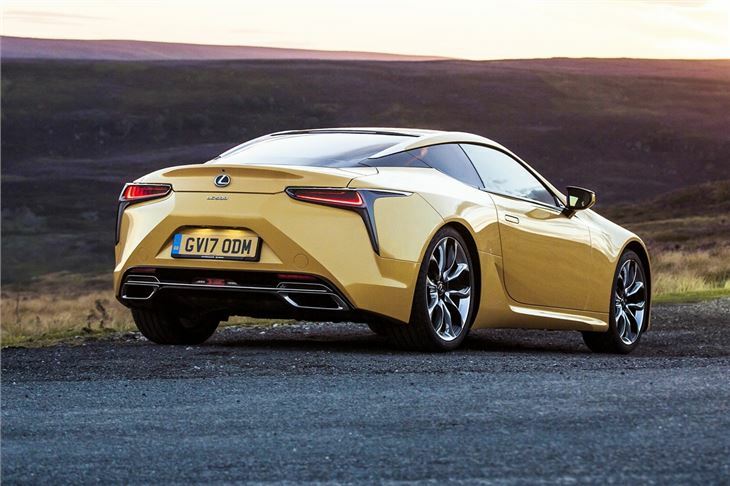 The LC 500 sounds colossal, with a compelling rumble on start up. Work your way through the revs - which is all too easy - and you're met with a thunderous roar. It's one of the best sounding cars there is. The LC is not all just about the engine though. There's the handling for a start. 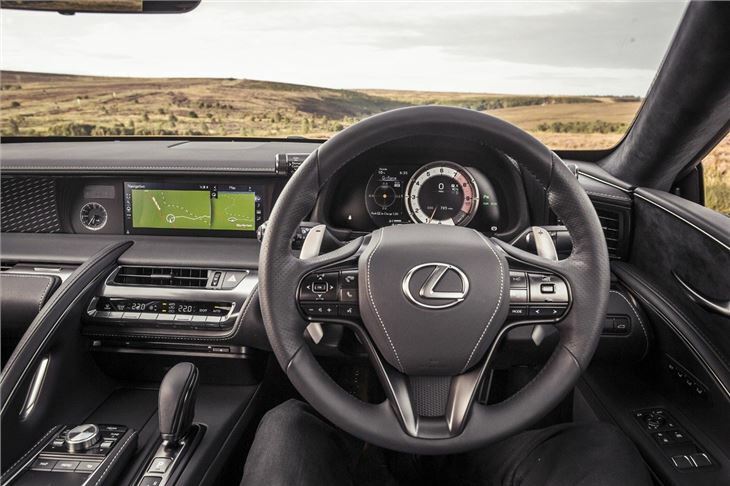 The steering has a wonderful precision to it and while you're always aware that this is a front-engined rear-wheel drive car, it offers so much traction and grip that it never feels intimidating. So where does the LC sit amongst the competition? Well for similar money you can get a BMW M6 or a Jaguar F-Type with the supercharged V6 engine. To be fair, you wouldn't say no to either of those given the opportunity, but the LC just has that something extra that makes it feel that bit more special.